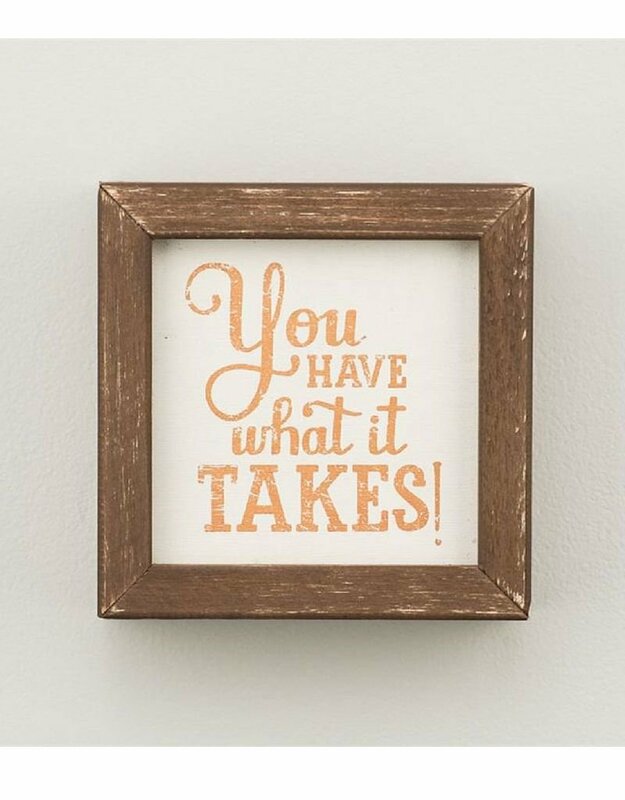 This stylish framed wood board is a great reminder that YOU have what it takes! 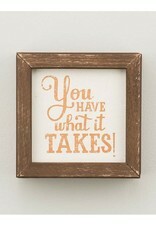 This board looks great sitting on a desk or bookshelf. Measures 5x5.